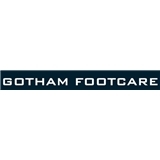 Gotham Footcare PC (New York) - Book Appointment Online! Amazing doctor, very attentive & helped me understand my diagnosis better. Awesome staff will highly recommend. She was very thorough and an excellent listener. I felt like she wanted to fully understand my situation before proceeding, and she patiently answered all my questions so that I understood what I was agreeing to. Dr. Sanaz was extremely humble and patient and also explained me everything clearly what was going on with my foot. I would recommend her.